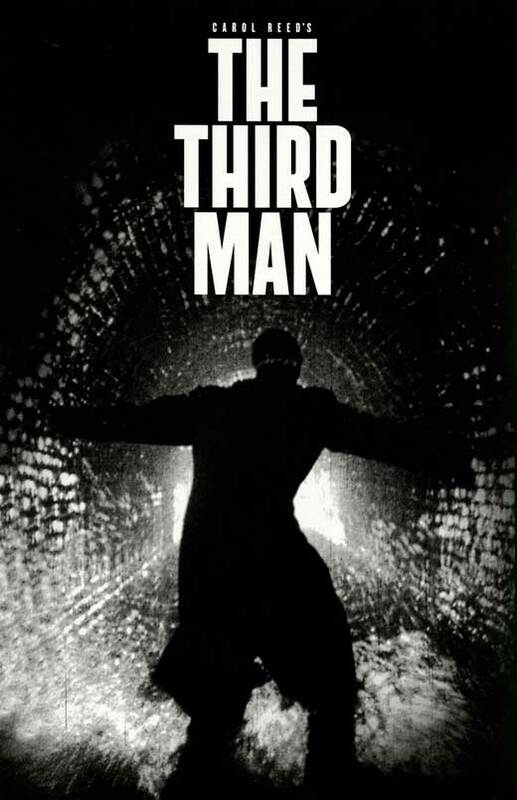 Carol Reed’s innovative classic THE THIRD MAN (1949) is one of my favorite films. It stands apart from many films of its time and still remains a unique cinematic experience. A very different film to reflect a very different time and place… post WW2 war, ally occupied Vienna. This aesthetically beautiful film noir was photographed by cinematographer Robert Krasker and written by novelist Graham Greene. From the opening credits, we are intrigued. 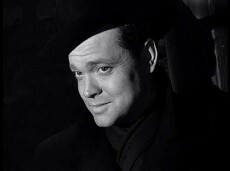 The musical score begins with a simple Zither instrumental, “The Third Man Theme”. Snippets of this one song is infused within the film and this instrumental is the only score. Its wonderful simplicity and unique sound (especially for a movie score) is notable; also allowing for greater focus on the brilliant performances. Our story begins with dime-store American novelist Holly Martins’ (Joseph Cotten) arrival in war-torn Vienna. He’s broke and looking for his friend Harry Lime. Lime had invited him with a promise for employment. Yet Lime is nowhere to be found. Quickly Martins discovers that his friend Harry has been killed; just days prior while crossing a street and his funeral is about to commence. He arrives at the cemetery just in time to give his respects as a handful of onlookers stare curiously. A couple of attending British Army police officers offer to give him a ride back into town and a drink. Major Calloway (straight-forward yet smooth linguist Trevor Howard) and Sergeant Paine (Bernard Lee) discuss Martins’ friendship with Harry Lime, going back to when they were school boys, over a drink in a local pub. Major Calloway wastes no time in informing Holly that Lime was mixed up in the local black market in a bad way and his death may be a blessing for all. Remaining loyal to his friend and offended by Calloway’s accusations, Martins becomes confrontational and receives a solid punch in the jaw by Sgt. Paine. Despite this, Paine then compliments Martins, expressing a fondness for his cheap novella westerns and Calloway suggests he leave town soon. Paine escorts Martins to the local hotel for the night. Compelled to prove Calloway wrong about Harry, Martins is introduced as an American celebrated author by Paine to a gentleman named Crabbin (Wilfrid Hyde-White) of the British cultural propaganda department who subsequently invites him to lecture at their next meeting in a couple of days. Seeing this as an opportunity to stay longer, Holly Martins accepts. Self-proclaimed friend of Harry Lime, Baron Kurtz calls Martins and requests to meet him. Meeting at a cafe, Holly recognizes him as one of the men at Harry’s funeral. In addition to his lap-dog, Kurtz is carrying one of his western novellas, saying it was a gift from Harry. The two walk out into the street where Kurtz reconstructs Harry’s fatal accident. He explains that both he and a gentleman named Popescu were witnesses to the accident when a truck struck Lime that fateful day, until Lime’s doctor happened along. Hearing slight discrepancies in Kurtz’s story from the porter at Harry’s building that originally informed him of his death, Martins insists to speak to Popescu. Kurtz says he is out-of-town so Martins probes further asking for the identity of the pretty woman at the funeral. Baron Kurtz doesn’t know her name but only reveals that she’s an actress at the nearby theater. He attempts to follow-up with the porter but his cautionary wife pulls him away. Later that night, Martins visits the actress at the theater after her performance. Her name is Anna Schmidt (Alida Valli). She dated Harry and is clearly very blue over his death; to the point she states she wishes she were dead, too. She also says that it was Harry’s dying wish that she be taken care of (somehow in his last moments). Additionally she adds that she believes the driver of the truck in the accident was Harry’s own driver. Martins convinces Anna to go with him to question these details with the building porter from Harry’s flat. The porter’s account of the accident reveals glaring differences. He says Harry’s death must have been instantaneous and therefore there was no time to make promises for Anna and Kurtz to be cared for. Shockingly, he also suggests there were three men, not two, that carried Harry’s body away from the accident. When Martins insists that he tell these previously unspoken contradictions to the police, the porter becomes frightened and demands they never return, as a curious little boy peers in around the corner. When Holly walks Anna back to her place, her landlady is flustered and upset. She chatters on about the police being up in Anna’s apartment at that very moment, tearing the place apart. The two are greeted by a team of men, including Calloway rifling through her flat. They take her passport, noting they know it’s a fake. As the police continue to ransack through her belongings, Anna takes Holly aside to explain her counterfeit documents. Harry is the one that forged her paperwork because she’s not actually Austrian. She’s Czechoslovakian hiding from the Russian police, fearful of deportation. Anna is taken into police custody. Meanwhile Harry pays a visit to the home of Harry’s physician, Dr. Winkel. He’s recognized as another of the few attendees from the funeral. He also notices the small dog that Kurtz carried earlier. When Martins questions the doctor about his account for the death as possibly not accidental and the mysterious ‘third man’, his response is vague but noncommittal. He says he arrived after the fact, so he couldn’t confirm but witnessed no third man. The mysterious contradictions and clues pop in and out of the rest of the story. Martins and Anna stumble into a crowd in front of Harry’s old building where the porter has been murdered and because the little boy recognized Martins from prior, people assume he is the killer and they take chase. After Martins is highjacked via a speeding taxi to his lecture as the featured speaker, he disappoints the crowd with fumbled responses to their intellectual queries. Near the end of his brief and unsuccessful presentation, Popescu shows up and Martins publicly announces his intention to doggedly pursue the truth and he dashes away, as men pursue him down alleys. Calloway and Martins chat at headquarters. At this point, Calloway goes into great detail to review the evidence that Harry Lime was no ordinary racketeer trying to survive in black market Vienna. As penicillin was in short supply, Calloway explained Harry was secretly stealing and diluting penicillin then reselling at a high profit rate as sick patients died in droves. Thereafter, Holly shows up drunken at Anna’s place. She’s spoken to Calloway by now, too. Their world has been shaken by this shattering truth about Harry. Later in a darkened street, Holly senses he’s being followed. He shouts after the shadow in a doorway that he believes to be a flatfoot spy. With the bright light cast from an upper window, the dark figure is suddenly spotlighted and surprisingly revealed to be one and only Harry Lime (Orson Welles). He calls out his name and crosses the street to him but not before Harry escapes. In the shocking discovery that Harry is still alive, Martins tells the police and they dig up his grave to reveal a missing man in his place. From surveying the plaza where Harry escaped, they conclude he must have ducked into the underground sewer system. Martins visits the doctor’s home again where both he and Kurtz stand in expensive robes out on the balcony. Holly shouts up that he knows Harry’s alive and hiding with them. He demands they tell Harry to meet him at the ferris wheel across the street and walks away. Harry shows up smiling, greeting Holly like his old school chum. They walk into a stand up box on the ferris wheel and take a ride up as they talk. Harry keeps trying to charm his way through the conversation as Holly resists, continually confronting his ethics. Instead of questioning his stance on the penicillin scandal, he asks why he’s not worried about how his actions have affected Anna. It’s clear Harry only cares about his own needs, not at all for Anna’s welfare even when he’s responsible. Harry’s charm and smiles fade as he opens the box door and infers not so subtly that he could eliminate Holly right there. But Holly admits he told the police that Harry was still alive. He adds they’ve even dug up his grave and discovered a missing body instead of his. Harry closes the door and smiles again, overly confidently pretending he wasn’t serious about his threat and turns the charm back on again. Once back on the ground he monologues a quirky speech denouncing democracy then exits quickly, after telling Holly he’ll glad meet him again sans police. Holly agrees to serve as bait for the police to capture Harry, with the provision that Anna be saved from being deported via Russian police custody. Calloway agrees to these terms and Holly watches Anna board the train, observing quietly nearby. Anna notices him and steps off the train. She soon figures out that Holly has made a trade, of her freedom, in return for Harry’s capture. She rips up her passport. She doesn’t agree with what Harry did but won’t be part of selling him out. Just then Harry walks in and tries to shoot Holly but Anna is blocking his line of fire. The police and Holly give chase as Harry escapes down into the underground sewers. In the end, an elaborate and climatic chase takes place that ultimately pits Holly against Harry. Both have to make a tough, life-altering, and character defining decision. Two lives are lost in that labyrinth of sewage under Vienna that night. The very last scene of this film, as Anna walks away from funeral services down a tree-lined road, is one of the most beautifully framed closing images in film. 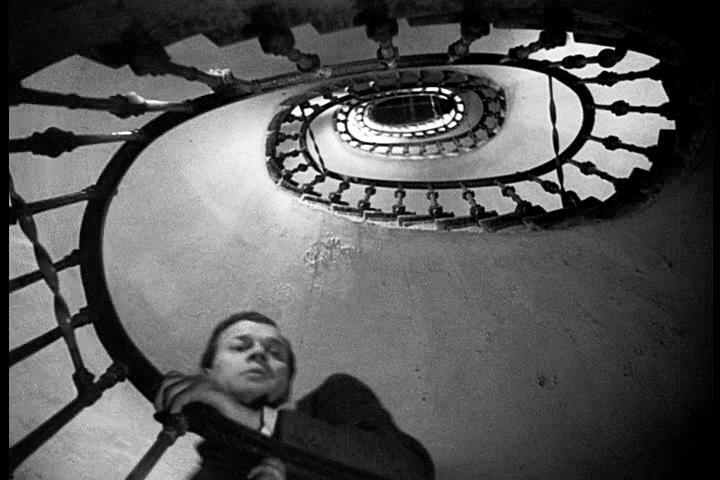 Between the photography genius of Robert Krasker and the direction of Carol Reed (and uncredited Orson Welles), the visual appeal of THE THIRD MAN (1949) is terrifically magnetic. The long dark shadows of the streets, the dutch angles in ample use throughout, the Zither… there is so much that makes this intriguing plot more art than story telling. Beyond this compelling story of spying, corruption, mystery, loyalty, betrayal, character and all shades of ethics, this film is also packed with powerful performances. Joseph Cotten, as our main character Holly Martins, is the every man trying to do the right thing. He is strong in his loyalties to his friend, he is a typical writer in his persistent curiosity and cravings to dig deeper to unearth the real story, and he is flawed and vulnerable like the rest of us. Cotten does a superb job of drawing us in. We connect to this character as we ride along in his journey of internal conflict and self-doubt. Trevor Howard as Major Calloway is convincing as the straight-forward man on a mission. He is comfortably even-keeled in his mannerisms but bluntly determined in action. Personally I would find it hard to say no to this guy, especially with that smooth voice. But it did take Calloway some time, and cold evidence to finally convince Martins to overcome his pride and friendship loyalties. The final tipping point came in a heart-felt scene when Calloway ‘drops by’ with Holly at the hospital children’s ward. Thanks to Calloway showing him the way, through rows and rows of beds and cribs of suffering children and babies, Martins is forced to confront the reality of Harry’s profiteering via his direct victims. Although he spends very little time on-screen, Orson Welles is unforgettable as the charming yet allusive con-man, Harry Lime. So charming in fact that we begin to understand how it’s so difficult for Holly Martins and Anna Schmidt to remain in denial for so long; staying loyal to Harry for the majority of the film. Ultimately, his smiles and charisma are not enough to overcome his evil wrongdoings. For most, it is Orson Welles’ ferris wheel ride with the memorable ‘cuckoo clock’ monologue that stays with us as the highlight of his Harry Lime portrayal. All of Harry’s friends and cohorts spy on Holly to keep him from the truth. Holly spies on them in hopes to discover the truth. The police spy on Holly in an attempt to get the real truth through to him. And Harry spies on everyone involved in hopes of hiding the truth… or at least recreating his own false truth. 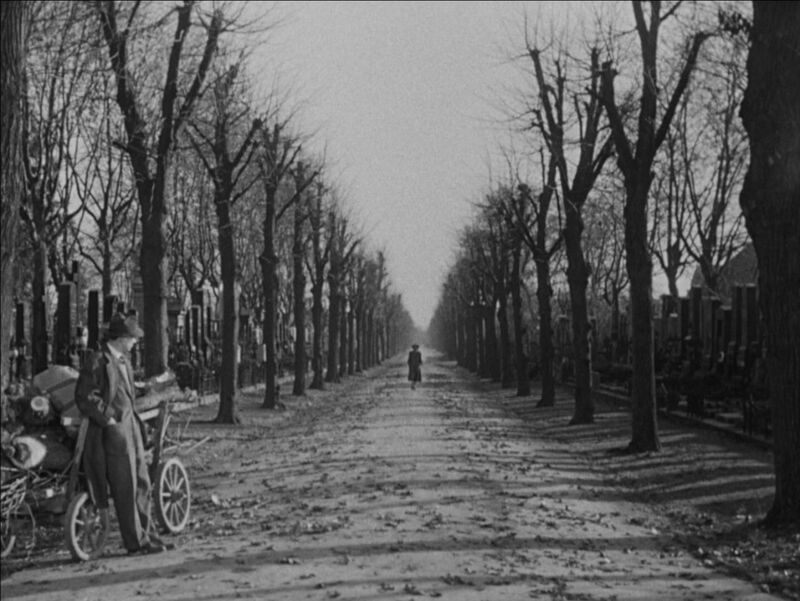 So THE THIRD MAN seemed like an ideal choice for Fritzi of MOVIES SILENTLY’s SNOOPATHON Blogathon. 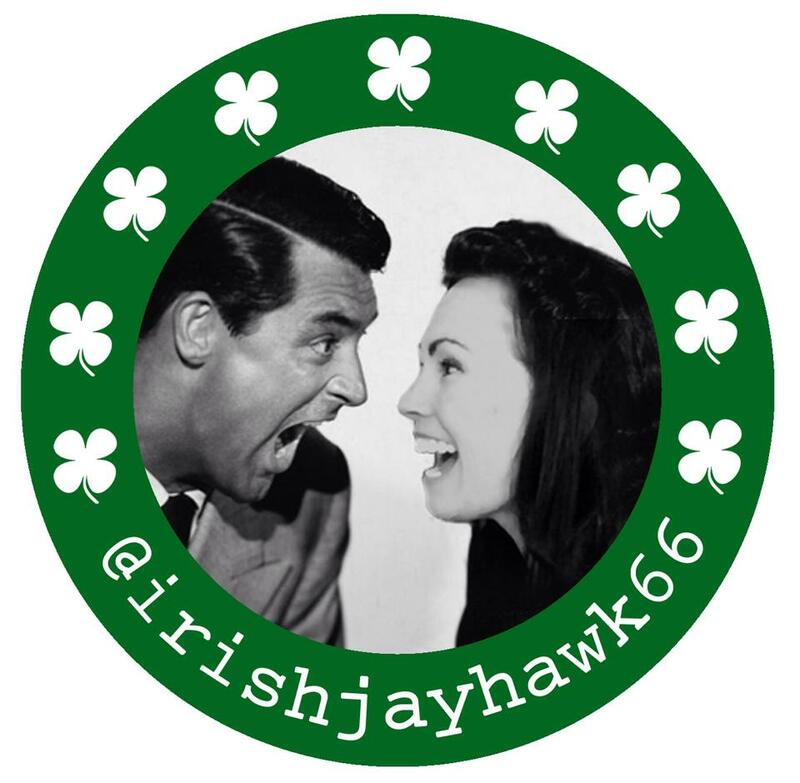 Please enjoy reading all the other awesome blog entries in this fun snooping, spy lovin’ event! Well done, Kellee! Great read on a highly regarded film. I have to admit this is another film that’s deemed “great” that is a meh for me. Seems I miss the boat on what others consider great. But know I’m in the minority. I’m gonna keep this commentary handy the next time I watch it. Maybe what I need is assistance. 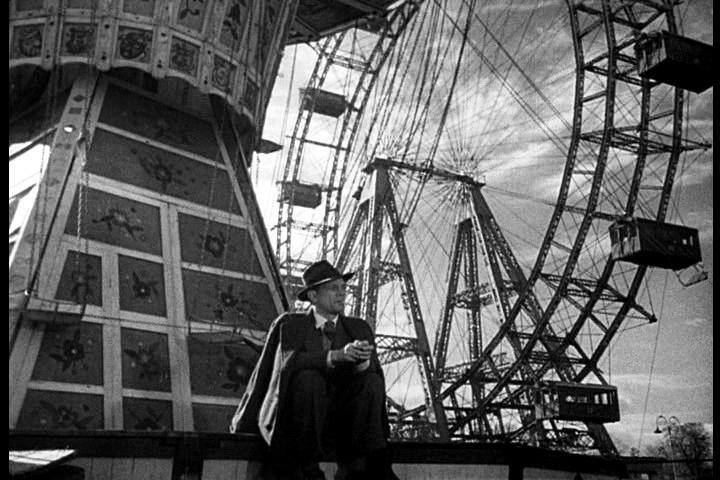 🙂 That said, THE THIRD MAN is no doubt visually memorable with many scenes that render me unable to look away. The zither annoys me after a while. It grew on me. It actually took me a couple of tries before I ‘got it.’ That is to say, the Zither just seemed odd and disruptive to me the first couple of times I watched THE THIRD MAN- now I’m utterly charmed by it. I do think it’s more art than movie on many levels. The dutch angles are used so heavily that I found it distractive initially, now I find it beautiful. It also helped for me to see it on the big screen on my third viewing… third time’s a charm for THE THIRD MAN for this gal! Maybe if I saw it on the big screen. I first saw this when I was 18 and first really starting to get into studying and thinking about film. It’s been a personal favorite ever since. I love Orson Welles’s devilish smile but the performance that I really love is Joseph Cotten’s. That wonderfully awkward scene where he finds himself speaking to the book club makes me smile every time. Yes- Joseph Cotten is very appealing in this film! He really draws us in. Ya gotta admire his determination and loyalties. Who wouldn’t want Joseph Cotten for a buddy?! (well, maybe not Charlie in SHADOW OF A DOUBT. lol!) Thanks for reading my post, gal!